The Character Library is simple, once an Automatron Bot is rigged and skinned, we save it into the library via the Automatron Prep Character function. 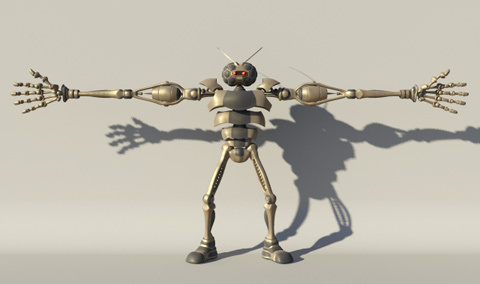 The character is now ready to be loaded into any scene as an Automatron Bot. The Figure Pose, selection sets and other parameters are carried with the file, so upon loading, its ready to go in three mouse clicks. You can even bring that same character into the same scene multiple times with no hassles. This simple feature is a huge time saver. I just got sick of hunting around for the most current character file and jumping through hoops to bring it into a new scene.